What are Standard Pipe Bags ? 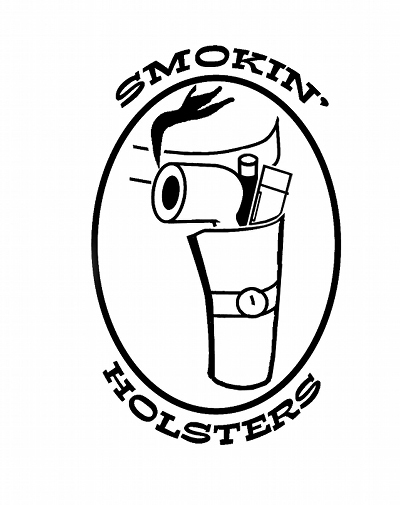 Smokin' Holsters Standard Pipe Bags are simply the finest hand crafted machine sewn pipe luggage in the world. Just like Ultimate Pipe Bags, my standard line of pipe bags are also made almost completely from leather but because of the specific leather used and the overall bag design, the bag warrants that the exterior stitching be done on a machine rather than stitching by hand. All the pipe pockets and linings are done the the same way as in the Ultimate Pipe Bags. While these are also mostly made with cowhide exteriors, they are also available on a limited basis in other leathers such as bison, buffalo and bull. Our Standard Pipe Bags are made of leather with these exceptions; the stitching, which is #138 poly, the Nylon Coil Zippers and the brass hardware. There are no fillers. The bags for the most part are cowhide and buckskin. They are also available on a limited basis in other leathers such as bison, buffalo and bull. The entire bag is cut by hand and both the exterior and interior is machine stitched.